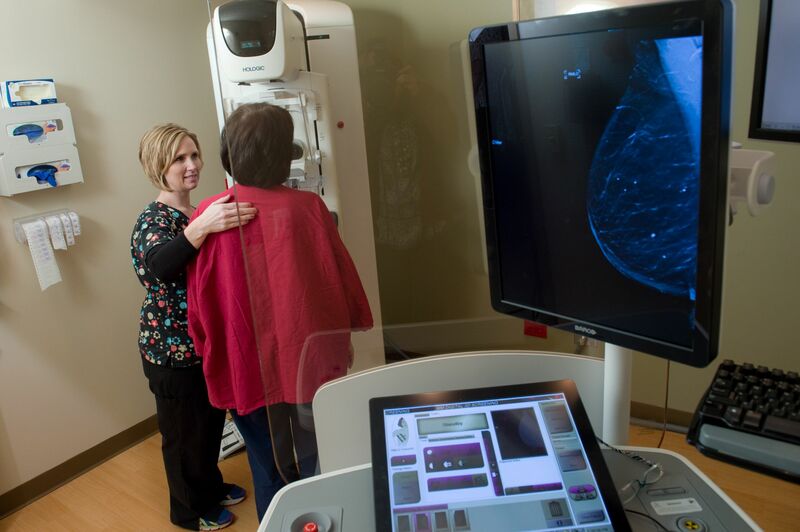 Taylorville Memorial Hospital now offers one of the latest advancements in breast cancer detection in 3-D mammography. Doug Ferrill, Radiology Manager at TMH is excited about the implementation of 3-D mammography as it can be used for earlier detection. Ferrill told Regional Radio News the difference between 2-D and 3-D mammography. The hospital has installed a unit from Hologic Inc., which is a leading medical imaging equipment manufacturer, which uses the company’s Genius 3-D mammography breast cancer screening technology. The installation was completed in late February, as TMH received FDA approval on March 7 and began its first 3-D screenings on March 22. Ferrill noted the technology is relatively new in the United States, while it was introduced in Europe several years ago. Ferrill further stated a 3-D mammogram requires no additional compression and takes just a few seconds longer than a conventional 2-D breast cancer screening exam. Any patient can set up an appointment, as long as they have a physician referral. According to the American Cancer Society, breast cancer is the second-leading cause of cancer death in women. More than 230,000 women in the nation are expected to be diagnosed with breast cancer this year.